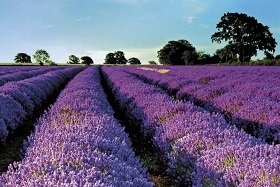 Enjoy the sights and scents of the stunning lavender fields in blossom. 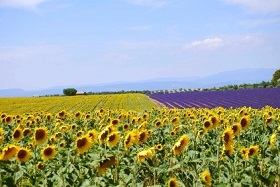 Get your camera ready and put your skills to capture the beauty of the Blue Gold of Provence. 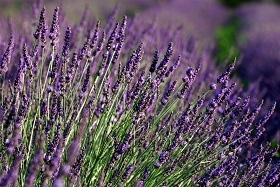 Learn about the cultivation and distillation of the lavender essential oil and its medicinal virtues at a local producer's. 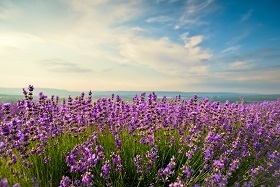 You will be enchanted with the sights and scents of the breathtaking lavender fields in blossom. 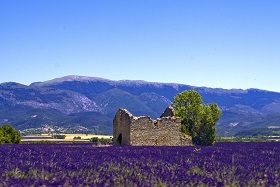 Get your camera ready and put your skills to capture the beauty of the Blue Gold of Provence. 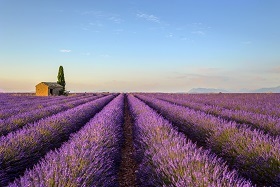 Learn about the cultivation and distillation of the lavender essential oil and its medicinal virtues at a local producer's. 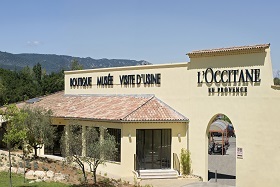 On the way back to Aix-en-Provence, you will visit the museum of L'Occitane in Manosque. World widely known for its cosmetic products made with locally grown flowers and plants. You can buy the products at a discounted price. 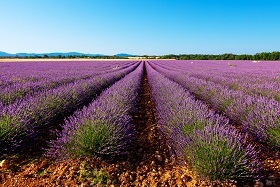 Embark on an unforgettable day on the Plateau of Valensole. 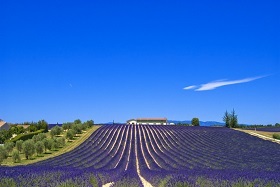 You will be seduced by the sights and scents of the gorgeous Blue Gold of Provence. You will meet one of the local producers and learn about cultivation and distillation of the lavender essential oil and its medicinal virtues. The journey will continue to Moustiers Sainte-Marie situated at the west entrance to the Gorges of Verdon. This charming village is well known for its 'faience' earthern wares . 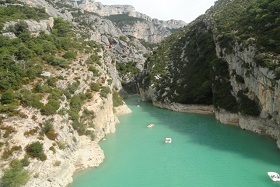 Sit back and enjoy the panoramic tour of the spectacular and majestic Gorges of Verdon, regarded as one of the most beautiful canyons in Europe and around the turquoise colored Lake of Sainte-Croix. And before heading backing to Aix-en-Provence, stop for a visit of the picturesque village of Sainte-Croix-de-Verdon. Your day begins by travelling through the winding Combe de Lourmarin, which separates the Petit and Grand Luberon to reach the Pays de Sault. 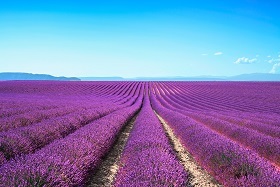 At an altitude of around 765m, the Capital of Lavender Sault has been cultivating the fine lavender for centuries and the hybrid lavender 'lavandin' since the early 20th century. You will meet one of the local producers and learn about cultivation and distillation of the lavender essential oil and its medicinal virtues. 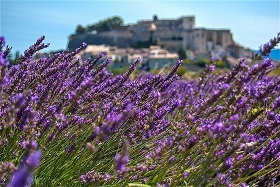 The hilltop village of Saignon will seduce you with the outstanding panoramic view on the valley. In the afternoon, discover the famous village of Gordes : white and bright, the typical houses were built with stones from the rock on which they are fitting.